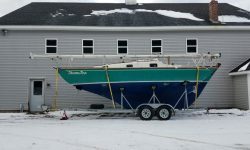 Earlier, I moved the boat indoors; she had her own trailer, making this move, and future moving needs, quite convenient. 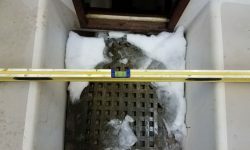 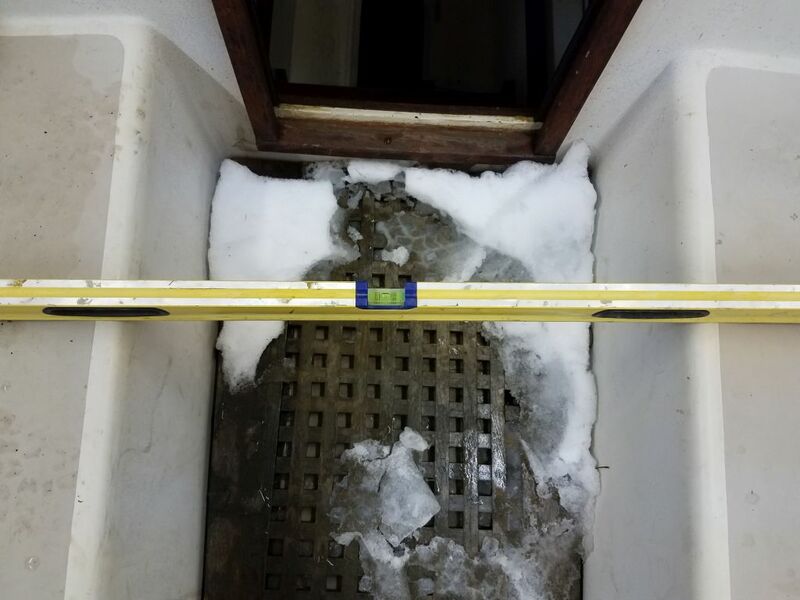 There was a bit of snow on deck from a storm a few days earlier, so I left the boat overnight to melt off before getting down to business. 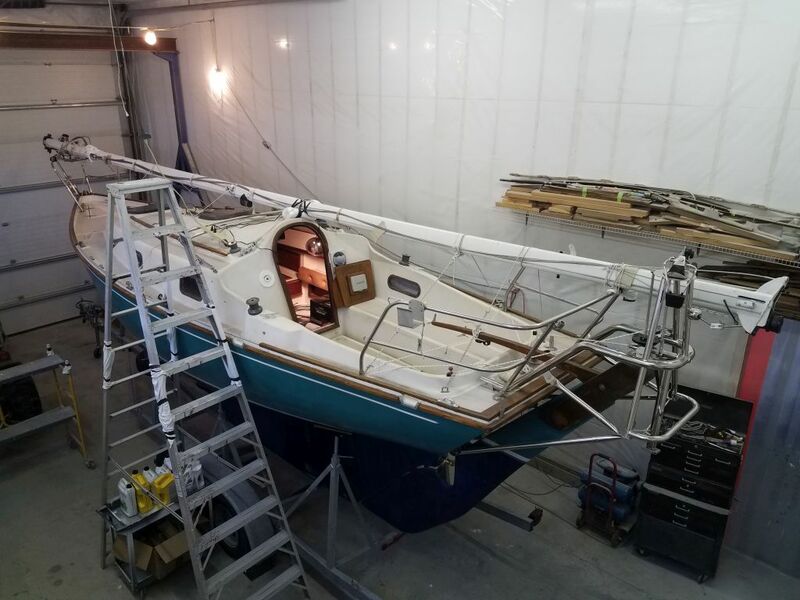 The first thing to do was to remove the mast from its deck storage position, which I did with my gantry. 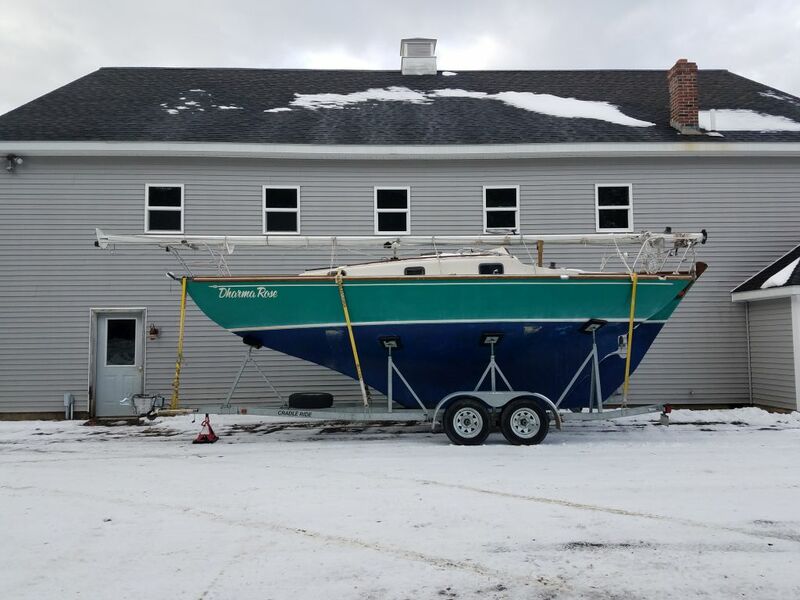 I stored the mast outdoors, where my rigging contractor would soon be able to access it for rigging replacement and other work as needed. 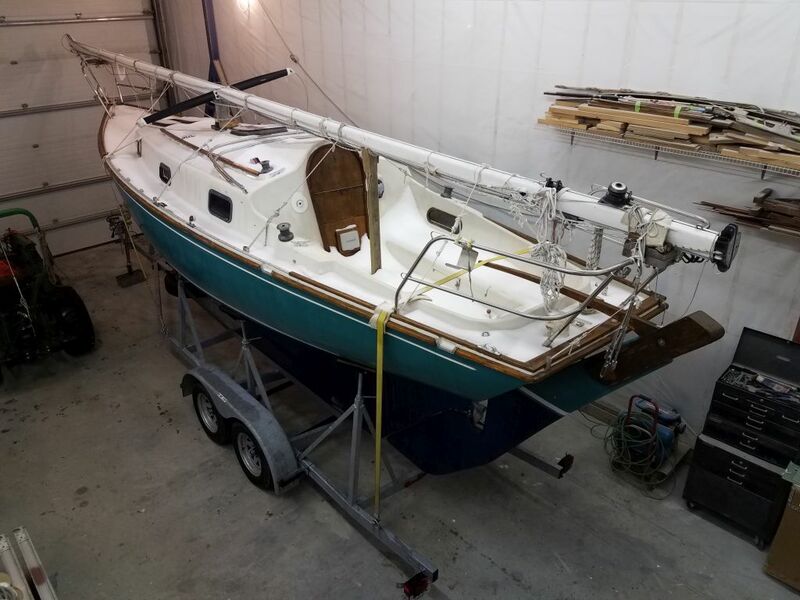 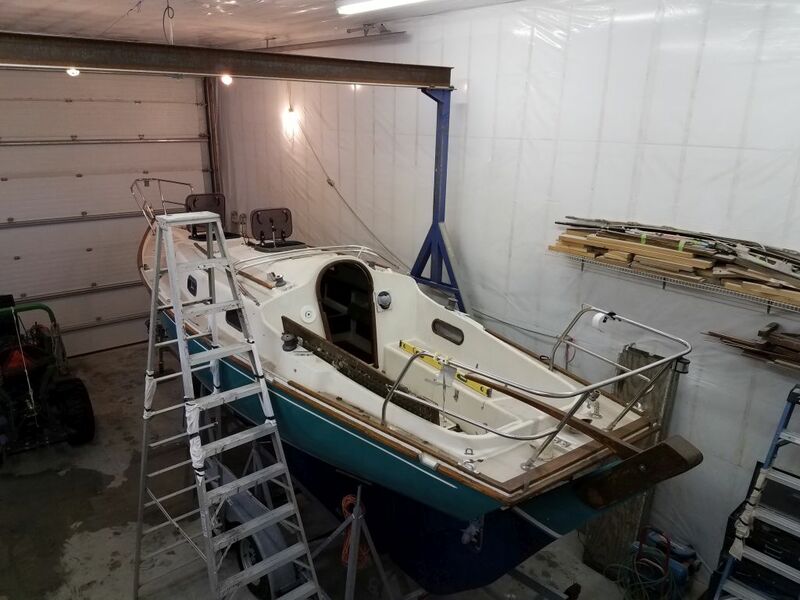 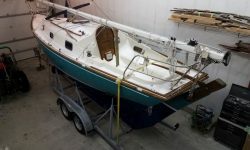 She was a little askew on the trailer, angled slightly fore and aft and listing to starboard, so I spent a little time straightening her up and leveling the boat side to side. 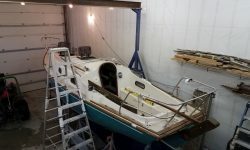 The project would begin in earnest after the holiday weekend.